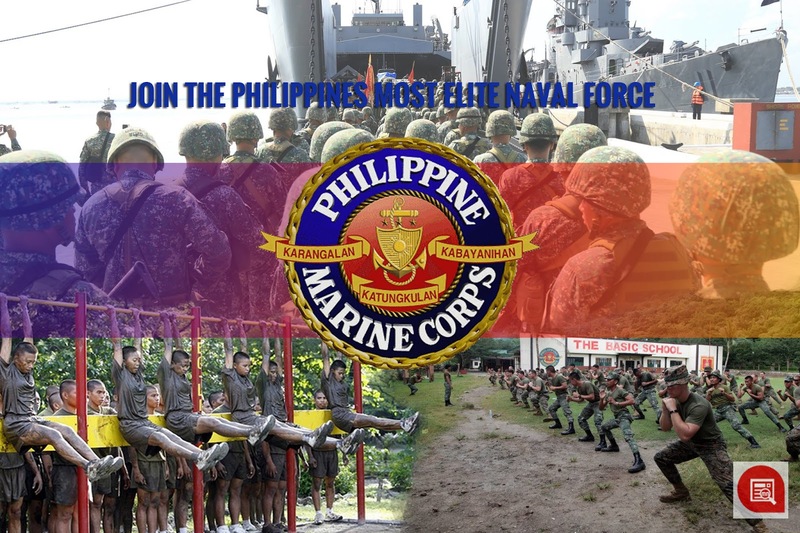 How to join the Philippine Marine Corps | 2019 - Recruitment & Training FAQs - Exam News, Reviewer, Military Career, & Everything [MN] . .
What is the Philippine Marine Corps? The Philippine Marine Corps (PMC ) is the marine corps of the Philippines, a naval infantry force under the command of the Philippine Navy including the Philippine Fleet. It is in charge of manning garrisons in shoals like Ayungin Shoal where a marine detachment is stationed on the grounded BRP Sierra Madre. It conducts amphibious and expeditionary warfare, as well as special operation missions. Just like the other branch of AFP, the Philippine Navy (Hukbong Dagat ng Pilipinas) also has its modernization every year by having newly bought ships and other equipments. It also has continuous hiring process to strengthen their force. Basic pay of Php 32,375.00 for an officer in the rank of 2nd Lieutenant with lots of opportunities for increases as may be promoted to the higher ranks up to General level. Recruitment drive schedule for 2019 will be announced soon my PN..
a. Visit and submit the requirements to the PMC recruiting center and mobile recruiting areas. d. Monitor the schedule of deliberation and release of results. 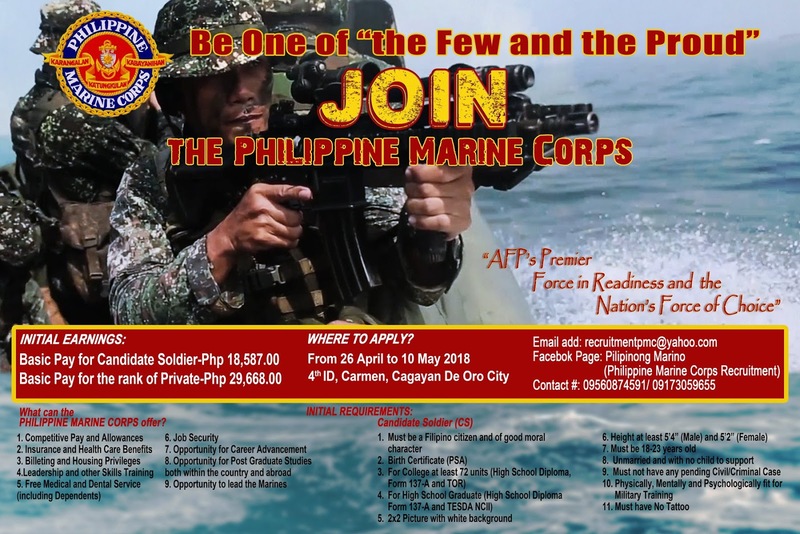 Those recruits who passed the exam and screening, both men and women will undergo rigid physical and mental training for 3 to 8 months at the Marine Corps Training Center in Fort Bonifacio, Taguig. For you to have better grasps on the nature of PMC training, watch the most comprehensive video documentaries below courtesy of GMA’s iWitness. Do you have what it takes to become a Marines? Join the country’s most elite Naval Force, the Philippine Marine Corps and be a pride of service our mother nation!